For industrial premises, craft workshops (plastering, painting), secondary work sites, vocational schools. Ecoplast plaster/paint filters will be installed before discharge into the wastewater network. They can be placed under a sink or used independently. 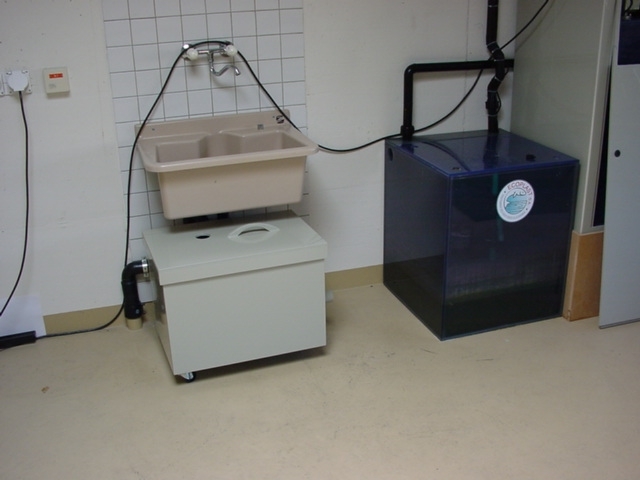 In the case of a paint-laden water treatment, flocculation before the passage of water in the filter will be necessary to obtain a result in accordance with the cantonal regulations in force. This manipulation will be done in the sink located on the tank or in any other appropriate tanks. 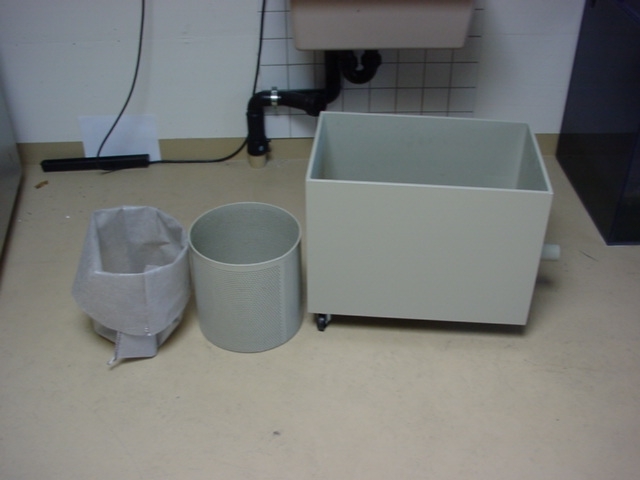 The Ecoplast plaster filter consists of a basket with drilled holes around its circumference and a filter bag. 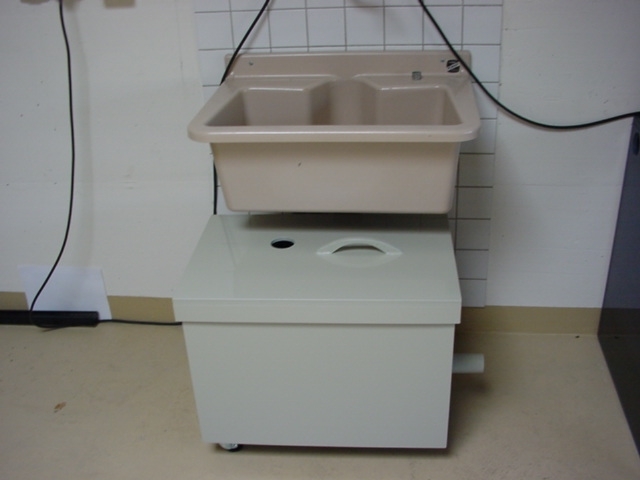 The water, to be treated, passes through the basket, the filter retaining the plaster particles and/or suspended solids in the case of a treatment with flocculation for paint. Then the clean water is evacuated by simple gravitation. In order to carry out a flocculation, add a dose of flocculant powder in the water to be treated, allow to stir for a few minutes and once the flocs are formed, let the water pass through the filter. This operation takes about five minutes. The average dose of powder used is about 100 grams per 100 litres of water to be treated. 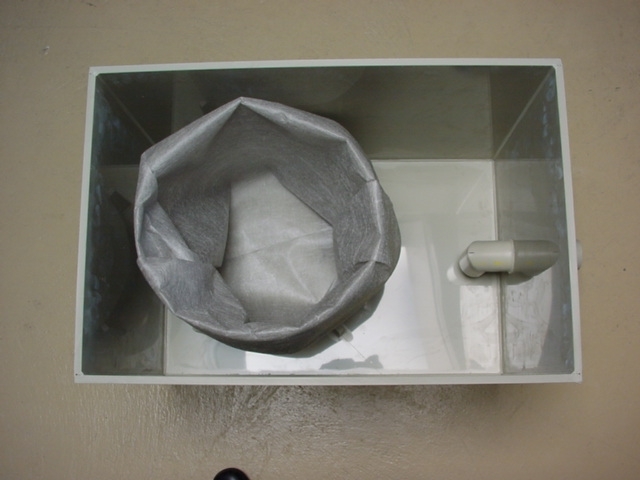 When the filter bag is full, lift the lid and remove the bag. Then put a clean bag in and put the device back in place. It is possible to produce 'custom-made' filters. We are at your disposal to study your particular case.